Experience the getaway of your dreams on an all inclusive holiday to Tenerife with Hays Travel. Many of our all inclusive packages include flights, accommodation, meals, activities, and evening entertainment in the price of your trip, which means you can relax from the moment you check in, knowing that all the details are taken care of. Tenerife is the largest of the Canary Islands and remains one of our most popular destinations thanks to its impressive beaches, including the volcanic sands of Puerta de la Cruz, as well as plenty of vibrant bars that stay open until the early hours. Our all inclusive packages allow you to save too, so you'll have more spends for excursions and souvenirs to remember your holiday by. Whether you're searching for a romantic break or an adventure-packed family trip, you can discover our selection of all inclusive holidays to Tenerife. Pack your sunscreen and look forward to an all inclusive break with Hays Travel! Whether you want to explore the island's famous volcanic landscape on a day trip, let your hair down by the beach, or go snorkelling in the crystal-clear waters that surround this picturesque destination, you'll find an impressive selection of idyllic all inclusive holidays to Tenerife with Hays Travel. Tenerife has been a hit with British holidaymakers for decades due to its blissful year-round temperatures, making it a fantastic choice for a winter sun holiday. With some of the most exhilarating waterparks in Europe, a handful of UNESCO heritage sites, and a thriving nightlife, you'll never tire of this blissful island in the Canaries. 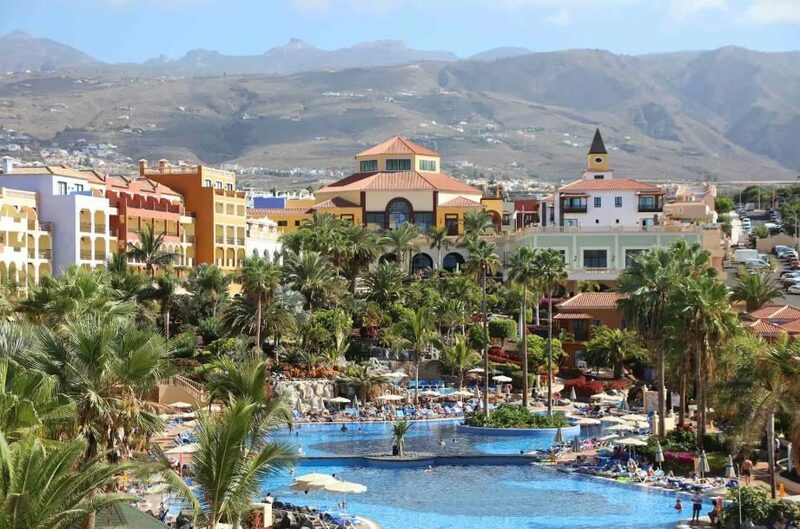 Our all inclusive packages cover the costs of flights, hotel, meals, drinks, and entertainment , you'll never have to worry about missing out on the surprises that Tenerife has to offer or exceeding your budget. 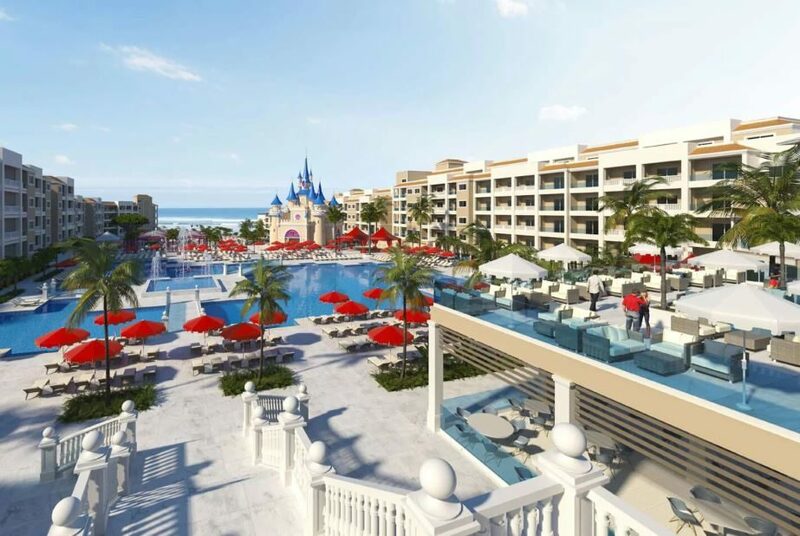 The 4-star Bahia Principe Costa Adeje is hugely popular with holidaymakers of all ages and is a mere 10 minute walk from the beach. Nestled on a cliff top overlooking the sea, the hotel is packed with activities for parents and children including football, tennis, volleyball, mini golf, basketball, and archery. If your perfect day involves soaking up the sun, grab your sunscreen and reserve your spot by the lake style outdoor pool before tucking into delicious international cuisine at the on-site Teide restaurant. Meanwhile, Hotel Best Jacaranda is a great option for families. 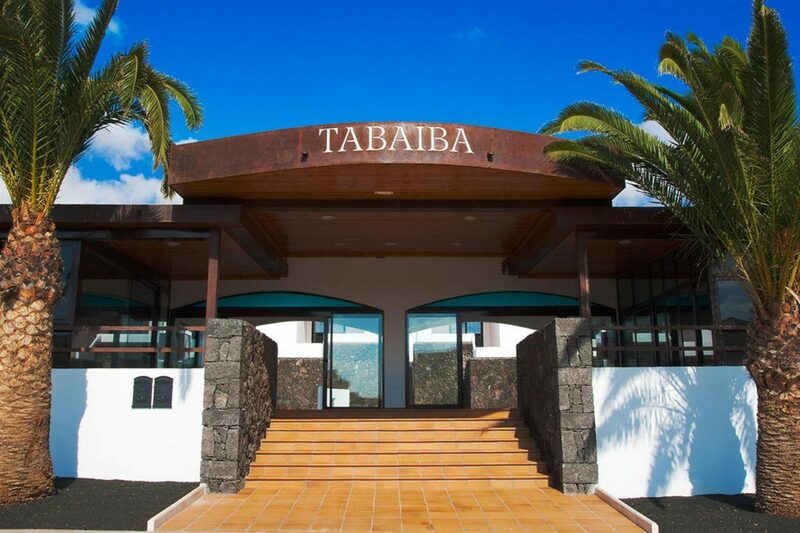 As one of top rated hotels in the sun-drenched southern coast of Tenerife, there's plenty to love at this resort, with a cascading waterfall swimming pool and a multi-sports court with tennis, archery, volleyball, and football facilities. Choose from up to six swimming pools, and a games arcade as well as unforgettable evening entertainment with Canary and Spanish themed traditional music and dancing. The hotel's close proximity to the beach is perfect for an impromptu dip in the sea, too! If you're searching for the perfect all inclusive holiday to Tenerife, you'll find a range at Hays Travel. We have over 37 years of experience in organising memorable holidays in stunning destinations. We've also been voted the UK’s Best High Street Travel Agent. Contact our dedicated team today, and you can plan your ideal getaway.